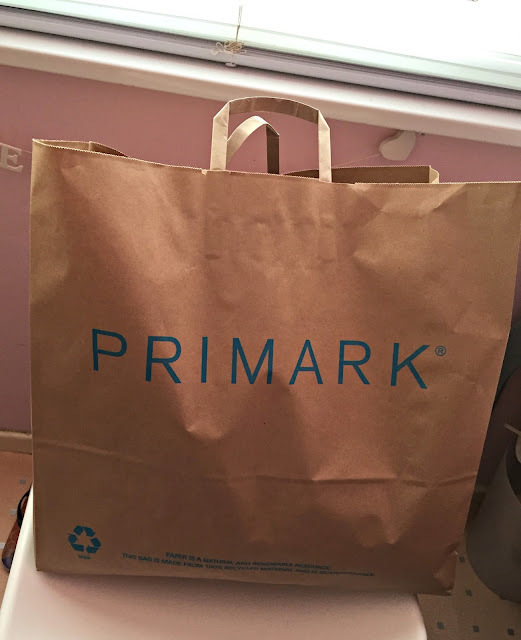 End of Month Primark "Pick Me Up" Haul! Every once in a while it's nice to be able to go out and treat yourself with new clothes or even a new lipstick. Luckily for me I had a bit more money left over at the end of this money so I thought it would be rude not to spend a bit of it in my most favourite shop ever, Primark! It's been a while since I last went in and I was expecting to want a lot of things but at the end of my 2 hour walk around the store, I only had half a basket full - not bad! Of course I thought I would write a short post showing everything I brought because I know how interesting it is to read other people's haul posts! I LOVE the pattern of this and I've been looking for something very similar until I saw this dress. I have tried to make a deal with myself to wear more dresses and this is one I'm extremely happy to add to my collection! I'm not sure about wearing the belt with this dress though but I'm sure I have another belt in my wardrobe I could wear instead. Tops like this is the reason that everyone jokes about trying things on before you buy them in Primark. It looked great on the hanger but I stupidly didn't try it on so when I got home, I found that I absolutely hated it. It's not exactly a crop top but it's far too short to be complimentary and it's extremely see through. Sorry Primark but this was a bit of a fail buy! I love Primark's T-shirt range and for the price, they're quite good quality. This top was the last thing I picked up and I completely forgot to look at the price or I'd definitely brought a few more! PJ Set | Top £2.50 Bottoms ? I really wanted some new PJs and my favourite kind to buy are their patterned cuffed bottoms with a pretty but simple vest. Perfect. I completely forgot to look at the price of the bottoms before ripping them off and wearing them but the top with a hidden support bra was a complete bargain at only £2.50! I don't think I've ever gone into a Primark and not brought a pair of pants. It's like a tradition. Their boxer short pants are my definite favourite and over the years they design has got so much better so that they're actually comfortable and not a more fabric version of a thong, if you get my drift. Another product I always go back to and it's these extremely comfortable T-shirt bras. I remember buying a pair last year just for work but when I realised how comfy they were, I went back to stock up on more colours. I will be so gutted if Primark ever stop making these! I brought a pair of these last year and I never took them off - ever! So much that when Winter came and it was time to pack all my Summer clothes away, I couldn't throw them away even though they were completely wrecked. Luckily for me Primark re-released them this year so I had to snap myself a pair up before they went. Fingers crossed that they're exactly the same as last years! Since buying one of these a few months ago, I cannot believe that I used to live without one. They make applying your foundation so much easier and even if you can't afford the high end sponge, Primark have their equally amazing egg for just £1.50! You can't complain at that price. That's everything that I brought and I hope I inspired you to go and have your own Primark haul! Really like those black sandals - Looking for a pair like those, but in pink. You got some really good stuff:-). It's nice to get out and treat yourself ever so often. I love the top on the hanger,it's a shame it looked rubbish on! I didn't know primark did those little eggs, that's such good value! 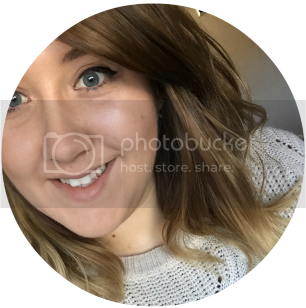 Super jealous of your haul! ohhh snap I have that dress! haha I bought it over the weekend, along with the blue and white ones too. You picked up some lovely bits and pieces! I picked up a few bits yesterday but wanted so much more!